AB41 appatenant à la Nizza Cavalaria et à la Monferrato. While reading Panzer Commander, the memories of Colonel Hans Von Luck I can across an interesting few paragraphs. “Some days later Rommel’s HQ informed me that I was to be sent an Italian armored reconnaissance battalion, the Nizza. At first, I was not very pleased, as I had no great opinion of Italian weapons or morale. They duly arrived, well spread out and apparently still at normal fighting strength. Their commander, a tall, fair haired Major, presented himself. As he told me later, he had been given the posting “for disciplinary reasons,” because of an affair with a member of the Royal House. The officers and men came exclusively from the north. They were proud Piedmontese and Venetians. They wanted to show that they knew how to fight. “May our patrols go on reconnaissance with your?” I was asked by the commander and his officers. “That would be the best way to learn.” I inspected their armored cars and weapons. “More sardine tins,” said our men, who were standing around inquisitively. 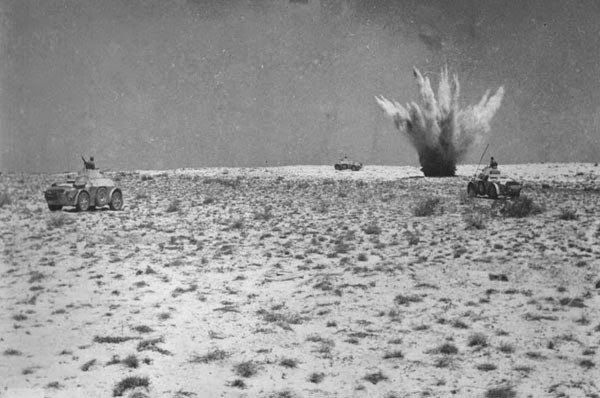 Indeed, the equipment didn’t approach the standard of that which we had at the start of the Polish campaign. 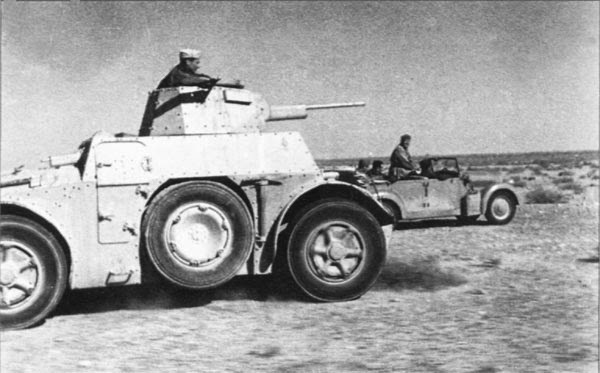 It was hopelessly inferior to the British Humbers and anti-tank guns. And yet, the Italians wanted to be sent into action at the front. IN the difficult weeks that followed, my feeling waved between admiration and pity for these brave men, who despite heavy losses, didn’t give up and so remained to the end, our good friends. He (The Italian) doesn’t take war with deadly seriousness and ends it for his part when he considers it to be hopeless. Hitler’s pathetic, cynical maxim, “the German soldier stands or dies,” is, to the Italian profoundly alien. Then near the end in Africa he received the Medaglia d’Argento, by request of the Nizza Battalion commander. 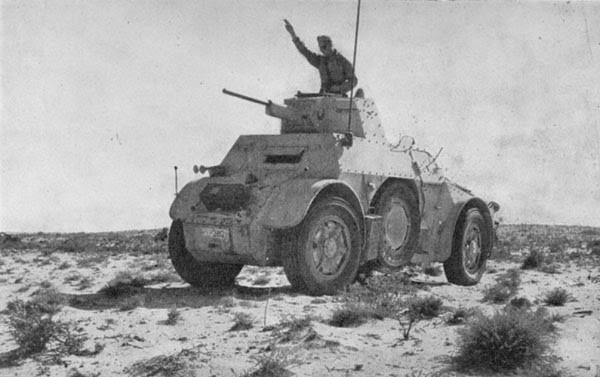 3rd Battalion Nizza Cavalleria (AB41 Armoured cars) part of Italian 132 Armoured Division Ariete. This entry was posted in Italy, Personnel by MSW. Bookmark the permalink.